Today, I’m continuing my week-long marathon of the Bibleman franchise as part of Secular Students Week. If you make a donation to the Secular Student Alliance this week, and I’ll cover a movie of your choice. 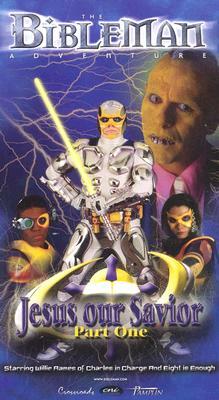 “Jesus Our Savior” was the first and only two-part Bibleman story, with the first part originally airing in October of 2002. It is the eighth entry into “The Bibleman Adventure,” which is the second incarnation of the franchise. The fact that death is suddenly a real and consequential thing in the Bibleman universe is actually kind of eerie, particularly with how violently and gruesomely Bibleman and company had dispatched of foes in the past. The point is glossed, but it definitely leaves a creepy sense of unease over the episode, much like the tensions left over after Coats disappeared with minimal explanation. I’m curious what the situation was that led to Brian Lemmons (Luxor) to leave the show, and if it was an amicable split. Something I have noticed from watching the series in sequence is that it feels like a number of bridges were burned behind the scenes. 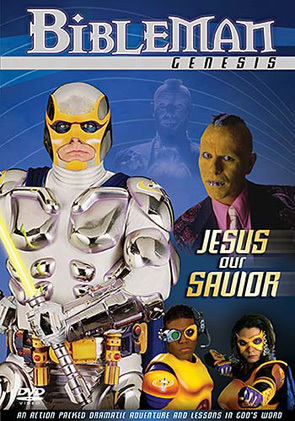 Bibleman’s team once again includes his computer, U.N.I.C.E., his sidekick, Cypher, and a new incarnation of Bible Girl. Theoretically, it is the same character as before, though played by a new actress who looks nothing like the previous one. The story of “Jesus Our Savior” primarily serves as a transition, marking the end of Luxor and the introduction of the more powerful, more ridiculous villain of Primordious Drool. 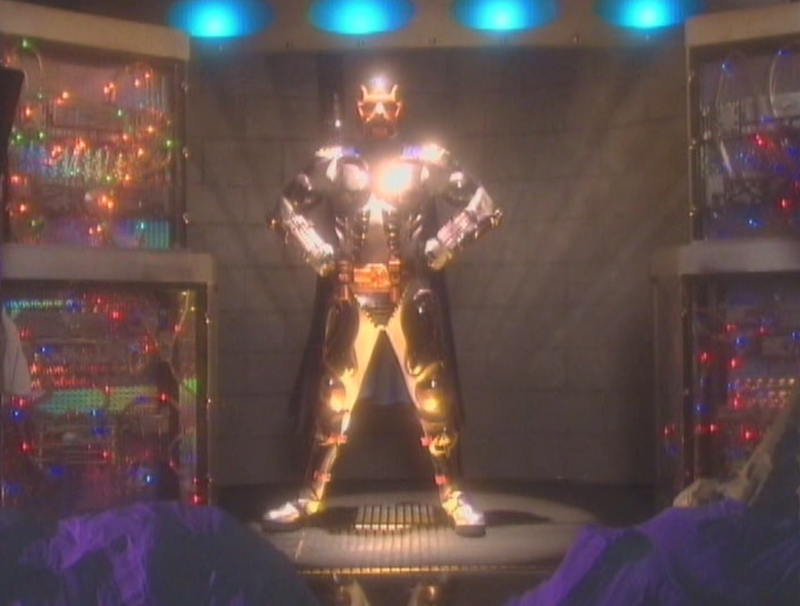 Most of the episode is dedicated to Bibleman and the team learning about Drool’s style, but it eventually gets into Drool’s evil plot, which is actually kind of interesting. His plan is to benefit off of Bibleman’s celebrity, and confuse people into raising him as an icon above God, only to tear him down publicly and shatter the public’s faith. Of course, he does this by luring Bibleman onto a particularly anti-Semitic Jerry Springer analogue, which is a clip that is now particularly nefarious online. “Jesus Our Savior” introduces yet another new armor for Bibleman. This time, it is a shiny, chrome monstrosity, that I personally think is a bit of a downgrade from the previous incarnation. 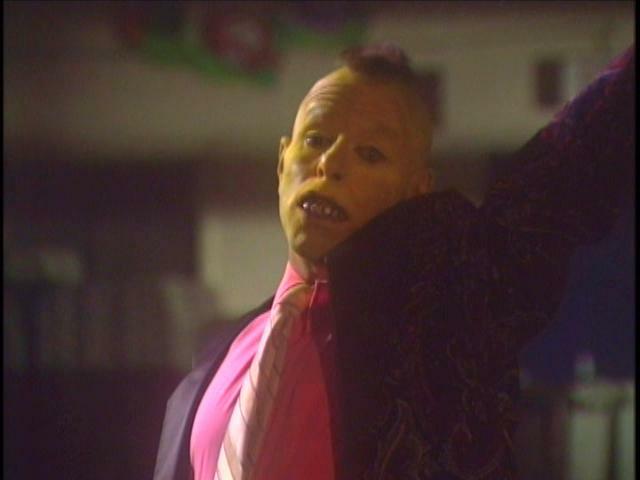 Jef Scott as Primordious Drool is, overall, a massive improvement for the show. The guy chews scenery like nobody’s business, and absolutely steals every scene he shows up in. In this episode, he at one point calls Bibleman “bib-LEE-man,” which never fails to crack me up. He also randomly breaks out into song without provocation, and contributes the sort of zany comedic presence that the show previously lacked. Some of his humor is low, stereotypical, and lazy, but he has an undeniable presence and charisma that adds something of distinct value to the show. His musical numbers are even almost bearable to listen to, which is a notable improvement. Given that “Jesus Our Savior, Part One” is only the first part of a two-installment story, it of course ends on a cliffhanger. I’m not a big fan of cliffhangers in general, and this is no exception: I would have vastly preferred an extended episode / movie rather than a two part extravaganza, but I suppose they decided to break it up so that it could air in television slots more easily.